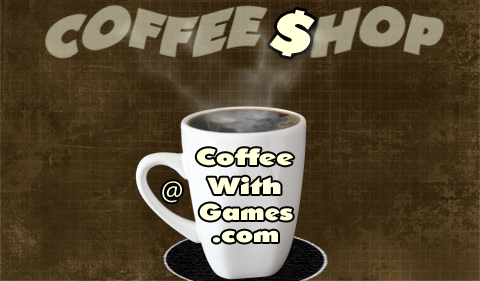 Coffee With Games: Coffee Shop! 3DS game deals - save 20%, or more! Coffee Shop! 3DS game deals - save 20%, or more! The Nintendo 2DS is releasing next month at a suggested retail price of $129.99, $40 less than the suggested retail price of the regular Nintendo 3DS. It is probably what we will end up getting Bean 1 this holiday season for Christmas, unless there is some other shiny new toy that turns up between now and then. There are already a few games on my list to get Bean 1 eventually, if not day one, and between now and Christmas I'll be paying closer attention to 2DS/3DS deals. If you currently own a Nintendo 3DS, or perhaps are planning to grab a Nintendo 2DS this holiday season, below are some current Nintendo 3DS games that are at least 20% off their MSRPs or List Prices. Brew yourself some coffee and see if there are any games that jump out at you, or perhaps that you would recommend to others! What Bean 1 might be playing 3DS games on. LEGO Batman 2: DC Super Heroes for $16.87*, HERE. You save over 40%. Luigi's Mansion: Dark Moon for $30.85, with FREE Shipping, HERE. You save 23%. Monster Hunter 3 Ultimate for $29.99, with FREE Shipping, HERE. You save 25%. New Super Mario Bros. 2 for $29.81, with FREE Shipping, HERE. You save 25%. Paper Mario: Sticker Star for $29.34*, with FREE Shipping, HERE. You save 26%. Super Mario 3D Land for $29.65, with FREE Shipping, HERE. You save 26%. Super Street Fighter IV: 3D Edition for $14.42*, HERE. You save over 50%. *Look under the "More Buying Choices" to the right of the "In Stock" section and under the "Add to Cart" and "Sell Us Your Item" boxes on the right, to purchase it directly from Amazon.com at the listed price. Luigi's Mansion: Dark Moon is at the top of the list I have for Bean 1, with New Super Mario Bros. 2 close behind it. Bean 1 demoed Luigi's Mansion: Dark Moon for about 5 minutes at GameStop many months ago, and he still randomly requests to play the game. I'm hoping that Nintendo of America and Amazon.com will get their systems situation worked out, and Amazon.com will start carrying Nintendo systems before this holiday season. Amazon does discount other game systems from time-to-time, and I think every penny helps. The $20 or $50 saved in the examples linked above would be enough to pick up an extra game or accessory. Have any of you played and really enjoyed Luigi's Mansion: Dark Moon, and think that a younger child would be able to play and beat it? If you own a 3DS and have played any of the games listed, are there any you would/wouldn't recommend to new 3DS, or soon to be 2DS, owners? I have played most of these, and they are pretty good. I have Luigi's Mansion, though my son's played it a lot more than I have - but he's 14. It's probably not something your son could beat yet. Even the first Luigi's Mansion on the GameCube, while not a hard game, was one my youngest daughter didn't beat until she was like 8 or 9, and even then I coached her on a few parts. I would probably say to skip Street Fighter on the 3DS. It's not a bad game, but you can get better on most of the consoles for as cheap or cheaper. Monster Hunter isn't bad either, but this markdown is probably representative of the upcoming Monster Hunter 4 for the 3DS coming out somewhat soon. Pretty decent deals all around. Am still interested in Luigi's mansion, but will probably wait as I need to gauge upcoming game costs for later this year. You know wii u and stuff. Have smb2 and got it for $29 as a preorder price. Its very good and addictive especially with the gold coins and coin rush feature. Is also pretty minimal on 3d so it would be the least affected by the 2ds. Also recommend 3d land. Very quality game for $29 (paid $40) and while there are a few select areas that use 3d as a mechanic, I think its still playable in 2d. Can't really speak to the others. I did demo the regular lego batman on 3ds and thought it looked good, but really wasn't for me. "Monster Hunter isn't bad either, but this markdown is probably representative of the upcoming Monster Hunter 4 for the 3DS coming out somewhat soon." Kind of funny, I was discussing the Monster Hunter 4 thing the other night. Wondering how quickly they'll get it over to the U.S., and if it will be in time for the holidays, or early next year. I know Monster Hunter 3 Ultimate was a Wii U launch title for Japan in December, then hit the U.S. in March. So, Monster Hunter 4 could hit by December, but not sure if they have really announced anything U.S. side yet? Thanks for the feedback on Luigi's Mansion, I think it will be interesting to see how Bean 1 does with it. "You know wii u and stuff." 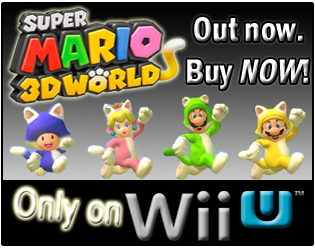 On 3D Land, the only reason I'm not super sure on it just yet, is because of Super Mario 3D World. 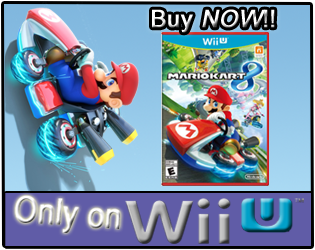 Trying to decide if that's one we'll get for the Wii U this holiday season. If so, I would probably skip over Super Mario 3D Land, though Bean 1 really likes running around in Super Mario 64...not sure how much they are alike though. Ah, don't get too fired up, I just throw that in there for general purpose along with my growing queue. 3DS Zelda, etc..
Good point on the U's 3D world vs SMB3DL. it does look strikingly similar in overall style. Naturally the cats will be a different mechanic and multi-player is an option. "I think it will be interesting to see how Bean 1 does with it." No, not yet. If/when we get a 2DS/3DS, Luigi's Mansion will be with it though, since that's the game he remembers from his 5 minutes with the demo. Yeah, and I saw SM3DW at the Best Buy event, and it LOOKED like it would be fun with multiple players. I saw just 2 people run through a level and it mixed 2D/3D well from what I saw, kind of wonder how it will be with 4. I read your article while I was at work, so I had to come back to it when I got home. I reread it I learned more the second time. This article is brilliant. It has really made me think and that's the kind of writing I enjoy reading the most. Thank you for this well written material and information. Watch Dallas Cowboys vs. New York Giants Live Stream NFL football online. The Dallas Cowboys continue the road on Sunday Night football tonight to face division rivals, the new york Giants, in an exceedingly game the Cowboys should win if they’re to keep up their push for the NFC East title. The Problem With Nintendo’s Virtual Console. Rocket's adventures in MH3U Part 6: So tasty! CoffeeWithGames.com is a participant in the Amazon Services LLC Associates Program, an affiliate advertising program designed to provide a means for sites to earn advertising fees by advertising and linking to Amazon.com.